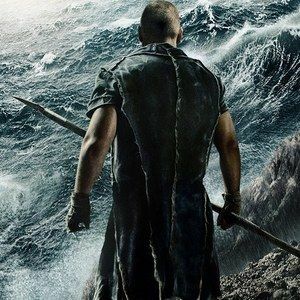 Earlier today, we showed you a trailer preview for the upcoming Biblical epic Noah, starring Russell Crowe as the title character. As we wait for the full trailer to arrive, we have a new poster, which teases the dangerous storm that Noah has to face with his massive ark. Jennifer Connelly, Douglas Booth, Logan Lerman and Emma Watson co-star in director Darren Aronofsky's adventure, arriving in theaters this March.